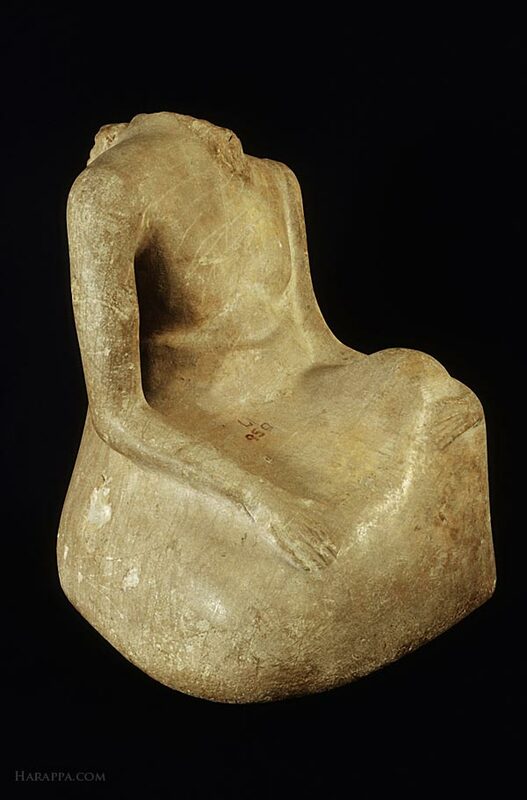 Seated male figure with head missing (45,46). On the back of the figure, the hair style can be partially reconstructed by a wide swath of hair and a braided lock of hair or ribbon hanging along the right side of the back. A cloak is draped over the edge of the left shoulder and covers the folded legs and lower body, leaving the right shoulder and chest bare. The left arm is clasping the left knee and the hand is visible peeking out from underneath the cloak. The right hand is resting on the right knee which is folded beneath the body.